Hugh Smith was born in Nashville, Tennessee. 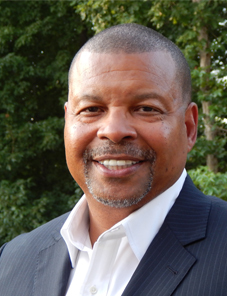 He graduated from Tennessee State University in 1984 with a degree in Industrial Technology. He then relocated to California where he started his career in Management, Sales and Entrepreneurship. Hugh has held senior level positions with several companies including Dunn & Bradstreet, Metro Networks, Trader Publishing, Consumer’s Choice of Atlanta & Lenox Financial Mortgage Corporation. He also owned Hugo Entertainment Management Company located in Los Angeles, CA. In 2007 Hugh and Dr. Mary Dailey-Smith Co-founded WeCareMD which is a Primary Care Clinic with locations in Hiram, GA and Marietta, GA. As CFO and Vice President of WeCareMD Hugh’s responsibilities include Management, HR, Finance, Compliance, Marketing, and Contract Negotiations.